NW Total ATM is a complete ATM solutions company that services the Pacific NW. Based out of Seattle, Washington NW Total ATM was created out of the desire to offer an all-encompassing service company. We provide the specialized and intimate level of customer service you would expect from a boutique company but with the scale-ability to service accounts or events needing 20+ ATM’s and over a $1M in vault money, even on short notice. 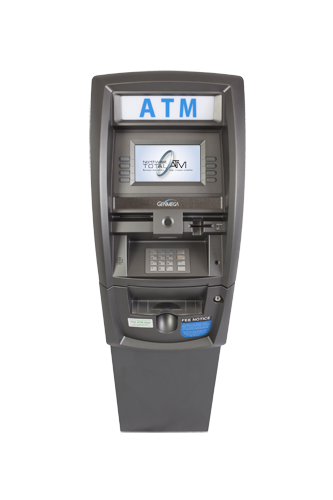 We offer 24/7 on-site technical support on all ATM’s because if an ATM is out of service, no one makes any money. We also provide a 100% lifetime warranty on all ATM’s – free of charge. Never will you have to worry about paying out of pocket for any consumables, servicing, or component failures, meaning you keep more of the profits with our company than any other ATM company around. Simply put the more time an ATM is up and running the more profitable it is and we cover every contingency to make sure our ATM’s have Zero downtime. Along with that we offer free shipping, free installation, free illuminated toppers, even free cellular modems or wireless modems if a wired solution is impractical or impossible. We have the experience and technology to make your remote event ATM accessible as we can connect to not one but all 3 of the top cellular carriers. Best of all we are a living breathing local company that doesn’t outsource. You will get a prompt personalized response to inquiries/requests and we can schedule onsite evaluations and sales calls as quickly as same day. When deciding whom to partner with for your ATM needs, rest assured we will work harder, offer more service, keep more money in your pocket. We are NW Total ATM – boutique level service with large company scale-ability.